Published: Dec. 30, 2013 at 03:00 p.m. Updated: Jan. 19, 2014 at 03:58 p.m. 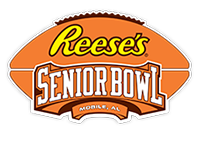 The Reese's Senior Bowl is one of football's premier pre-draft events, annually featuring the country's best senior collegiate football stars and top NFL draft prospects. NFL Network coverage includes Senior Bowl week practices and continues with the game, which will be held on Saturday, Jan. 25, 2014. Follow NFL.com's College Football 24/7 on Twitter @NFL_CFB.